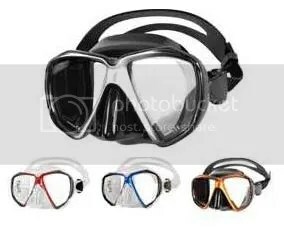 I have been snorkeling around Southeast Asia lately and I have came to realized the importance of selecting a mask so that you can enjoy the view underwater, without having to frigid and rip the mask off your face and only to put it back on again because you could not stand to leave the magnificent view below the surface. Hence I’ve came up with a few pointers which may help you select a mask if in the event you decided to abandon those over used rental mask and get something decent for your personal use. There are millions of designs out there in the market with price varying from SGD30.00 to SGD300.00. Always remember to set a reasonable budget to a mask that caters to your needs. Pull the head band forward to where the lens sits and press the mask gently against your face. You should feel a comfortable suction from the air pocket between your face and the mask. That should mimic the external pressure of the seawater against your face. Take a light breath and take your hands off the mask. (Be prepared to catch the mask if it falls off you face due to an incorrect fit.) The mask should sit comfortably on your face without falling off. Let it sit for a while and see if it feels comfy on you. If it feels good, you’ve probably landed yourself a good mask. Breath out to release the mask from your face. Low volume depicts the volume of air between the mask and your face. 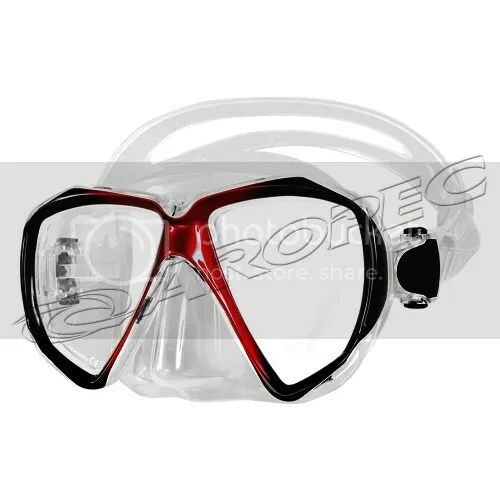 Low volume mask are easier to clear (especially with snorkelers would have only 1 breath of air when doing shallow waters free diving.) Low volume mask enables user to have a wider angle of vision as well. However for individuals with large facial features, they may find that the low volume masks are rather uncomfortable as it does not sit really well on their face. Therefore they would need a higher volume mask instead. With the Mask on, roll your eyes around while keeping your head still. A good mask will enable you to see a wide angle of vision without having to break your neck. Some masks have coating that reduces the glare of light reflected under water. These are a plus but may not be a necessity depending on your budget. Rubber and Silicon seems similar at 1st glance. Older design of masks uses rubber instead of silicon in order to seal the contact of the mask and the face. However in salt water conditions, rubber deteriorates much faster than silicon. It becomes brittle and hard and it’s a pain to wear these kind of mask. Honestly, if you ask me I feel that a wide skirting offers a lot more comfort when donning a mask underwater. Imagine wearing a harden rubber mask with fine skirting…. An illustration of the effects of such would be getting a blade and pressing it against your skin. I think you should get the picture right? Gaia Adventurers offers a variety of masks for your selection. Visit our Gaia Shop for more selection.